The D-Link® DAP-2553 AirPremier N Dual Band Gigabit PoE Access Point provides businesses with a cost effective solution for deploying 802.11n local area networks (LANs). Ideal for business-class environments, such as large businesses or enterprise corporations, this access point provides a manageable dual band wireless LAN options for network administrators. 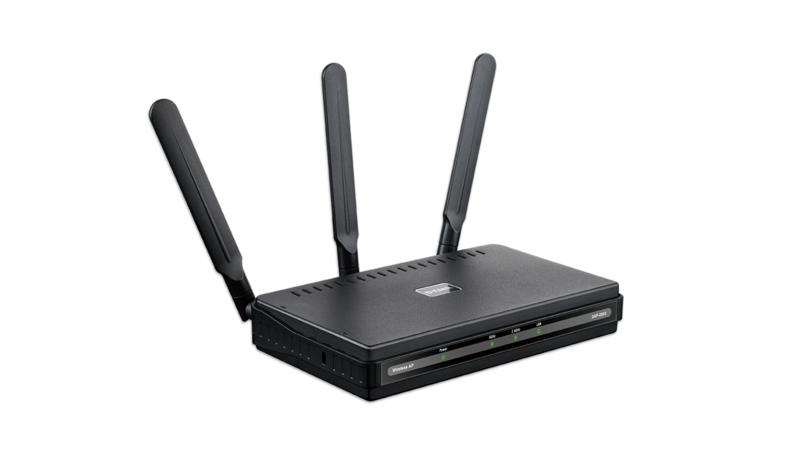 The DAP-2553 AirPremier N Dual Band PoE Access Point allows network administrators to implement a highly manageable and extremely robust dual band wireless network. 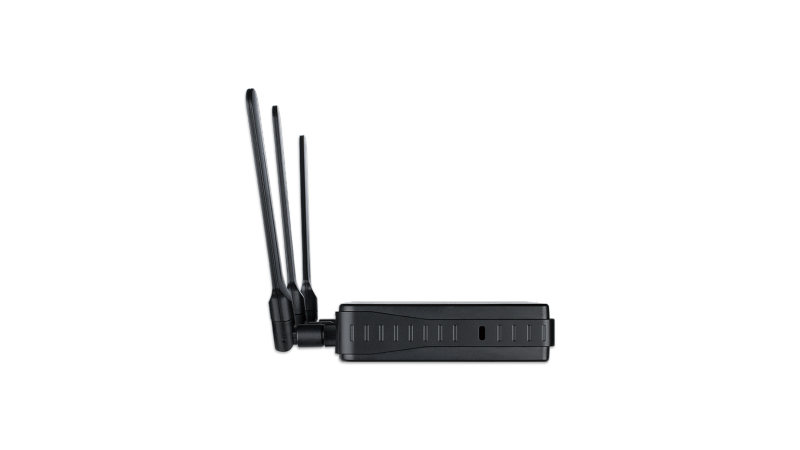 All three detachable dual band antennas supply optimal wireless coverage in either 2.4GHz (802.11g and 802.11n) or 5GHz (802.11a and 802.11n) frequency bands. For advanced installations, this high-speed access point has integrated 802.3af Power over Ethernet (PoE) support, allowing installation of this device in areas where power outlets are not readily available. 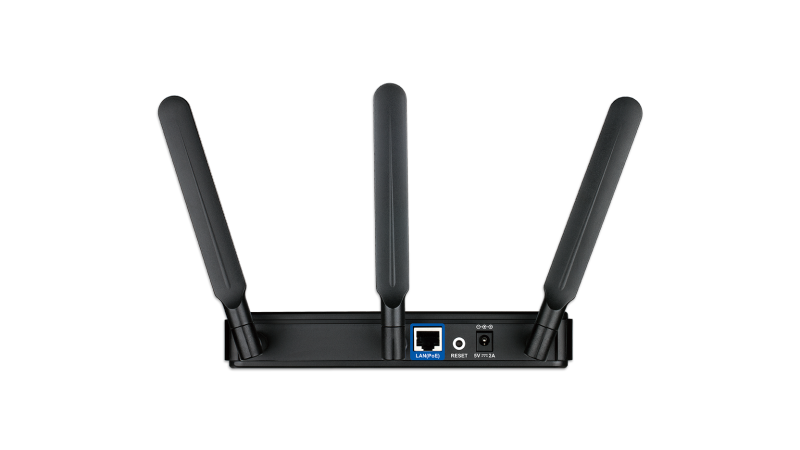 The DAP-2553 delivers reliable wireless performance with maximum wireless signal rates of up to 450Mbps in either the 2.4GHz or 5GHz wireless band. Support for the Wi-Fi Multimedia™ (WMM) Quality of Service feature, makes it an ideal access point for audio, video, and voice applications. 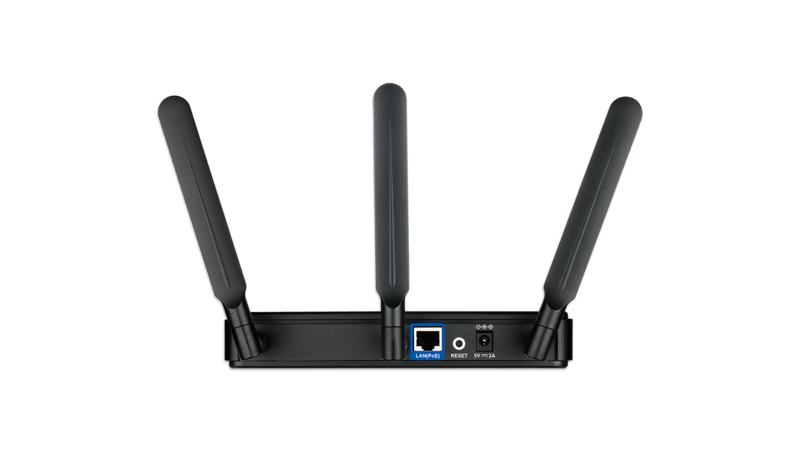 Additionally, this access point supports load balance features to ensure maximum performance. The AirPremier N Dual Band PoE Access Point provides the latest in wireless technologies by supporting both Personal and Enterprise versions of WPA and WPA2 (802.11i) with support for RADIUS server backend. 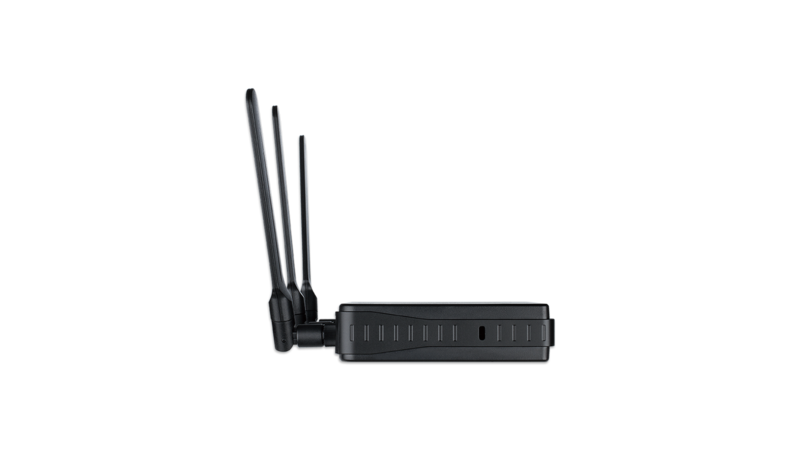 This access point also includes MAC Address Filtering, Wireless LAN segmentation, Disable SSID Broadcast, Rogue AP Detection, and Wireless On/Off Scheduling. The AirPremier N Dual Band PoE Access Point includes support for up to 4 VLANs for implementing multiple service set identifiers (SSIDs) to further help segment users on the network. 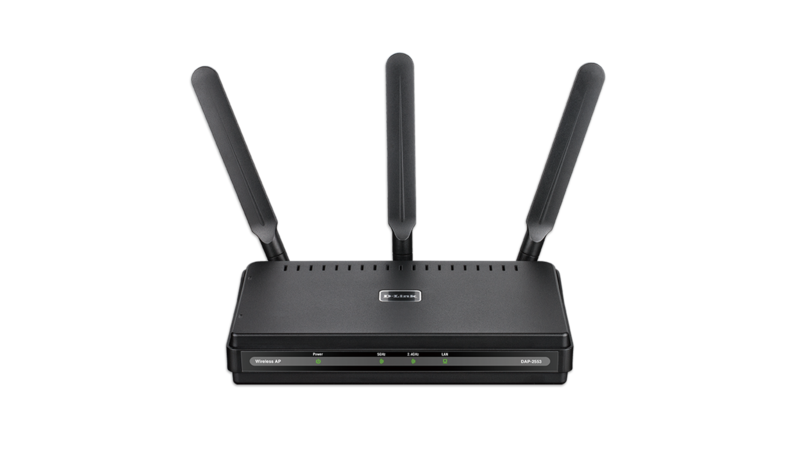 The DAP-2553 also includes a wireless client isolation mechanism to limit direct client-to-client communication. The DAP-2553 can be configured to optimize network performance based on any one of its multiple operation modes: Access Point, Wireless Distribution System (WDS) with Access Point, WDS/Bridge (No AP Broadcasting) and Wireless Client. With WDS support, network administrators can set up multiple DAP-2553 access points throughout a facility and configure them to bridge with one another while also providing network access to individual clients. Also included are advanced features such as Spanning Tree Protocol support, which allows greater efficiency and avoids broadcast storms when used in WDS mode. Network administrators have multiple options for managing the DAP-2553 Access Point, including Web (HTTP), Sockets Layer (SSL), (SSH), and Telnet. For advanced network management, administrators can use the D-Link Central Wi-Fi Manager controller software to configure and manage multiple access points from a single location. Scalable and flexible, Central WiFiManager is accessible anytime, anywhere, though the Internet by using a web browser. In addition to a streamlined management process, Central Wi-Fi Manager software provides enterprise-level features, including bandwidth optimization, captive portal, and RF optimization. Also available is AP Array, allowing the management of a set of network devices as a single group for easy configuration and deployment. The DAP-2553 also has a wireless scheduler feature for power saving. With the selectable dual band functionality, PoE support, extensive manageability, versatile operation modes, and solid enhancements, the D-Link DAP-2553 AirPremier N Dual Band PoE Access Point provides small to medium business (SMB) environments with an ideal business class solution for deploying a wireless network in the workplace. D-Link offers a Limited Lifetime Warranty on the DAP-2553 Wireless Access Point to further its commitment to product quality and long term customer confidence. The D-Link DAP-2553 Wireless N Dual-Band PoE Access Point provides businesses with a solution for deploying 802.11n Local Area Networks (LANs). 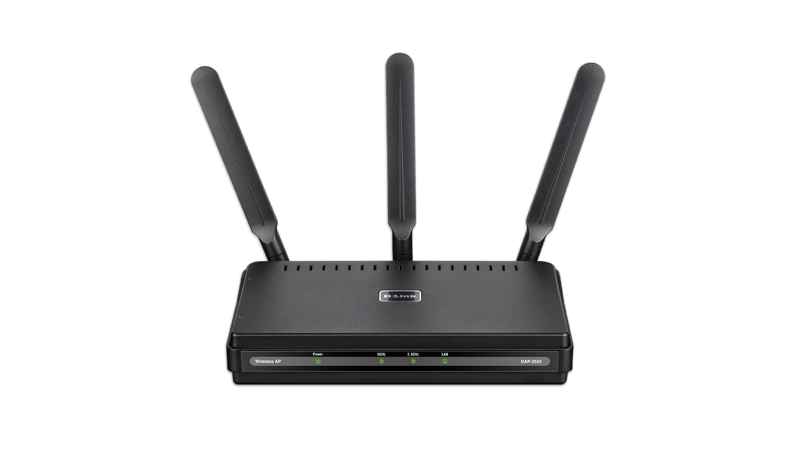 The DAP-2553 delivers reliable wireless performance with maximum wireless signal rates of up to 450Mbps in either the 2.4GHz or 5GHz wireless band.